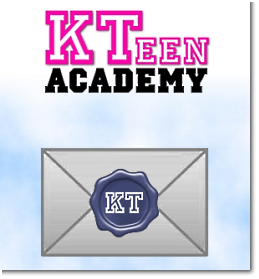 KTeen Academy is an online widget promoting Kensington Books' KTeen publishing titles. Kensington Books needed a simple but effective online widget to promote their KTeen line of titles. They had the concept of a KTeen Academy questionnaire which would assign the user to a virtual dorm based on their answers. I worked closely with Kensington's marketing team to finalize and polish the concept, text, and artwork, and we came up with something that is a great user experience. The widget now resides on the main KTeen page as well as the KTeen Facebook Fan Page. Check it out and see what dorm you fit into! I used JQuery's slice() method to slice up the question divs into individually displayed sections, and used combinations of animate() and fades to show/hide the rest of the content. View the widget on the KTeen site and on Facebook.